School Clubs promoting sports, educational activities or Culture and Arts. Display shared costs and partnerships. We also prioritize applications with the ability to integrate culture and tradition into your program. 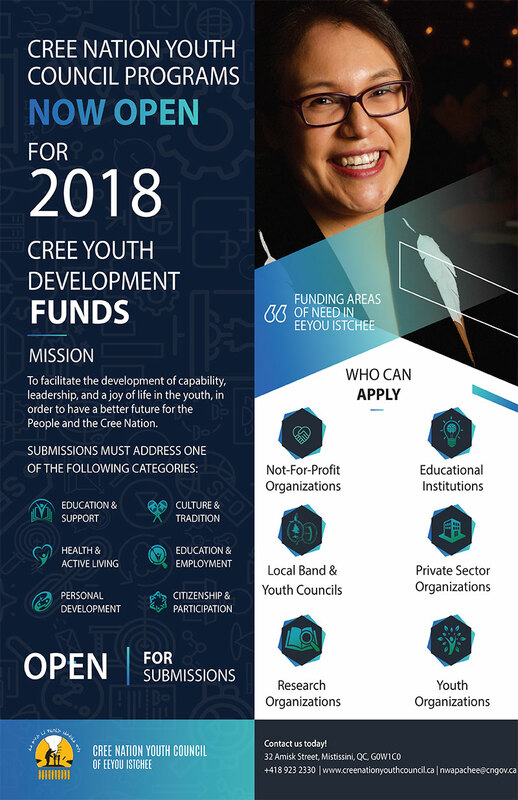 All applications to Cree Nation Youth Council are subject to available funding at the time of the application. Please use the form below to contact us if you have any questions about this program.